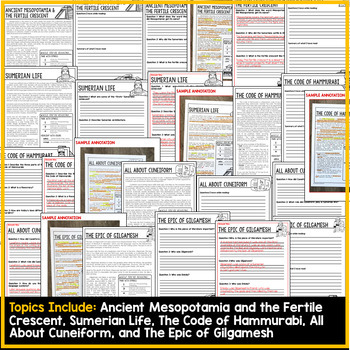 This resource is designed for an Ancient Mesopotamia unit. 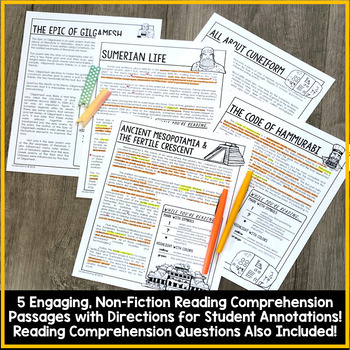 It contains 5 Engaging, Non-Fiction Reading Comprehension Passages with Directions for Student Annotations! 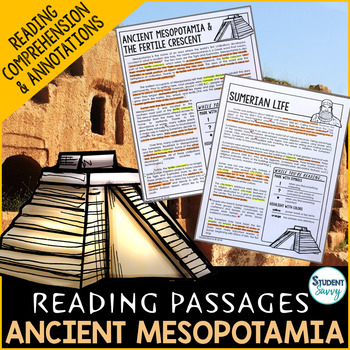 Reading Comprehension Questions also included! 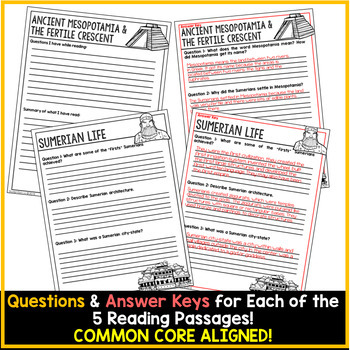 Questions & Answer Keys for Each of the 5 Reading Passages!